There are times when we're not cycling, strange I know, but we all need some R 'n R (no not rock 'n roll) occasionally. But those of us obsessed with cycling like being surrounded by reminders of it even when we're not cycling! The Ride Velo home is crammed full of bicycle accoutrements that we'd like to share with you, as they'd make great Christmas gifts for your cycling family and friends. Ride Velo loves cooking - and let's face it the upside of doing lots of cycling is the ability to eat more! At the Rouleur Classic we were lucky enough to meet (and sample some risotto with) Hannah Grant and her team from The Grand Tour Cookbook. Hannah, who hails from food and cycling capital Copenhagen, is the house chef for team Tinkoff-Saxo. The book is prepared in sections by rider, rather than the standard chicken, beef etc. so that you can eat like Alberto Contador, Peter Sagan or Rafal Majka. It is not only stuffed with mouth-watering recipes but is also designed to help you maximise athletic performance. Also at the Rouleur Classic, we really enjoyed hearing Frank Strack, founder of the Velominati and curator of The Rules, being interviewed by Ned Boulting. If you haven't heard about The Rules - the Way of the Cycling Disciple - you're probably wearing day-glo shorts and have blurry tan lines!! I suggest you buy The Rules as soon as possible and spend the Christmas break learning them inside out before you commit any more cycling sins. And now for something altogether softer if you're like me and consistently falling foul of #Rule5 - a range of cycling themed cushions by London-based designer Ella Doran. The Ride Velo sofa is littered with these things - the bicycle, pictured above, circular wheel cushions, and her Bikes of Hackney range too. They're a lot more cuddly than the real thing too! Ella also makes bicycle wheel coasters and place mats, rugs, desks, workshop aprons etc etc. We like them all - but we know where to draw the line. I'm always getting in trouble for leaving my bike cluttering up the hallway. So why not make a display of your pride and joy rather than an obstacle? 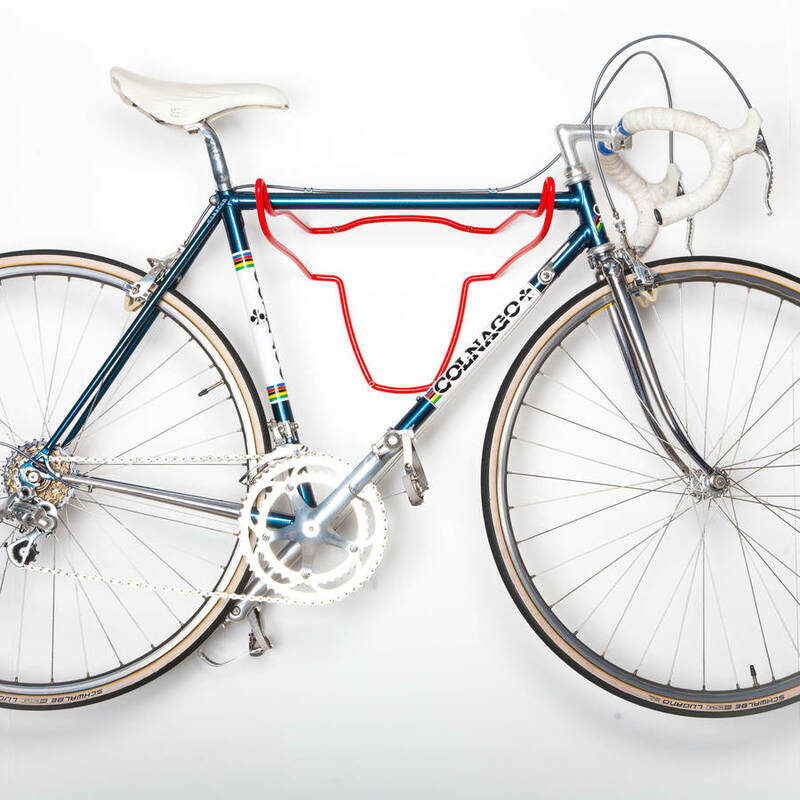 There are quite a few cool ways to hang your bike on the wall (it's a work of art isn't it?). My favourite is the Bull's Head and it's on my Christmas list at £89 from Not on the High Street. This walnut bike shelf is pretty useful for putting your helmet and gloves on top too: the Elevate bike rack from Etsy at £109.03 but it's from Texas and shipping is extra. Can someone start selling these things in the UK please? The Design Museum is currently stocking the Cactus tongue bike holder which is almost as nice at £70 for white and £130 for this leather tipped version which won't scratch your bike. Also to adorn your walls, how about some cycling art and photography? Eliza Southwood is a print-maker whose designs are affordable and eye-catching. She's been commissioned to produce screen-prints by REW Reynolds shoe makers, Rapha, and the Tweed Run amongst others. Her prints are sold online from £40 for a limited edition. They sell very well at London Velo cycling cafe apparently. Paul Smith is a British designer with excellent cycling credentials. He wanted to be a pro cyclist but an accident when he was 17 forced him to go down a different career path - his loss was our gain! His personal collection of cycling jerseys numbers over 500, some of which are currently on display at the Design Museum in London. He's designed a great cycling clothing range (though it's a tad pricey!) More affordable are his other cycling themed products such as this super cool cycling caps T-Shirt for £55, and the design also features on a washbag, ipad and laptop case. 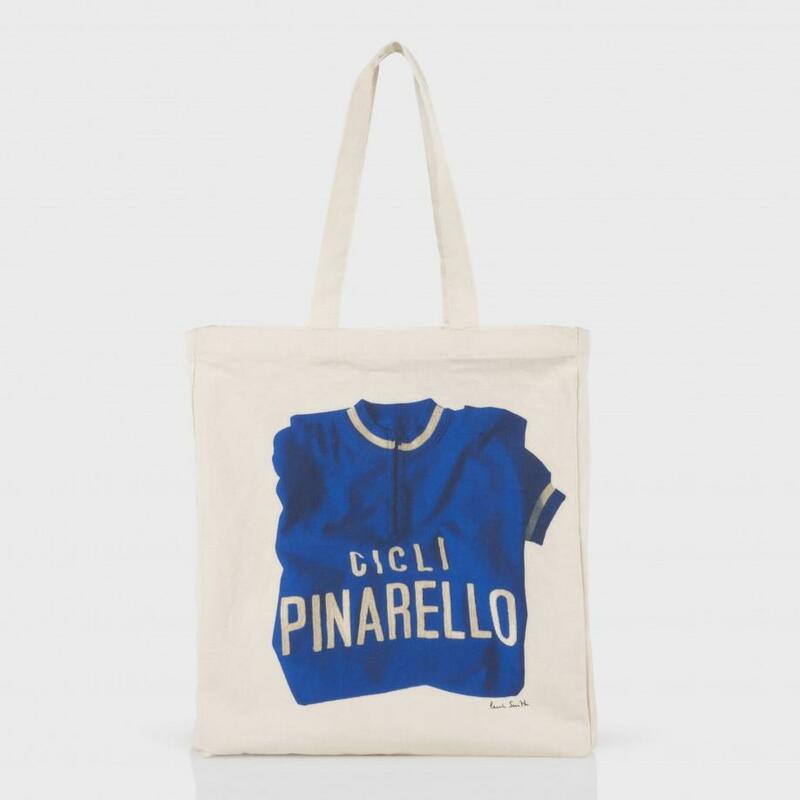 I love his cycle hero tote bags as well at £35 each. And finally, no Christmas would be complete without a game for all the family. Last year we tried cycling Top Trumps and this year sees the launch of Attack the Pack. This Kickstarter-funded card game brings the beautifully brutal experience of professional bike racing to your jersey pocket! Being launched at Look Mum No Hands this Saturday night, we're going to be reporting on this event next week on Ride Velo, but rest assured it looks lots of fun and a lot less painful that the real thing! So cosy up at home this Christmas and surround yourself with lovely cycling things, when you're too weighed down with turkey to go outside.